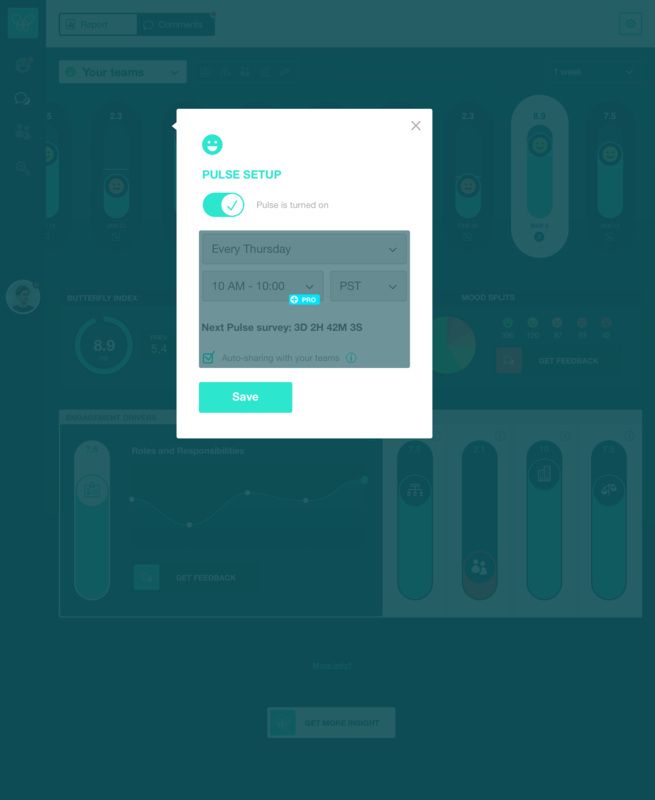 Your Butterfly Pulse is automatically set up when you start using Butterfly. To access the pulse settings, go to the cog button on the top right-hand side of your Pulse dashboard. Lets Butterfly automatically share Mood Tracking results with all your teams on Mondays. You can always switch off the Pulse feature by using the ON/OFF button. Don't forget to hit save to apply your changes! What is the Butterfly AI coach?